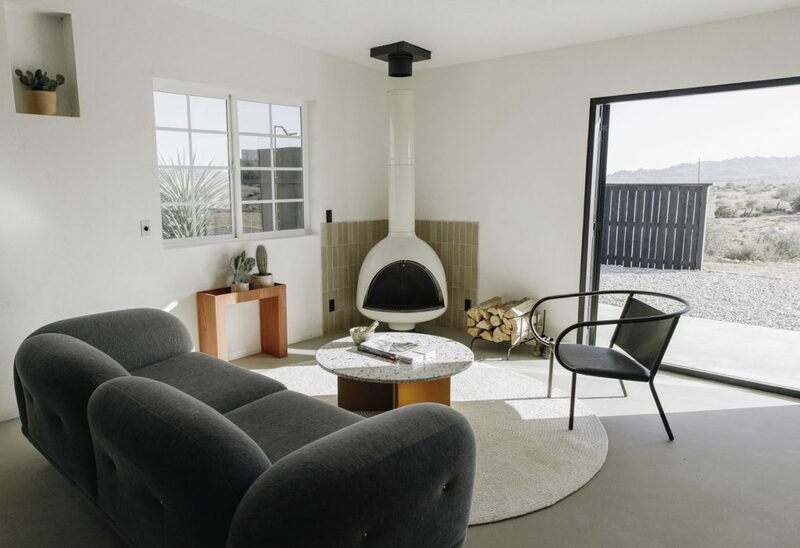 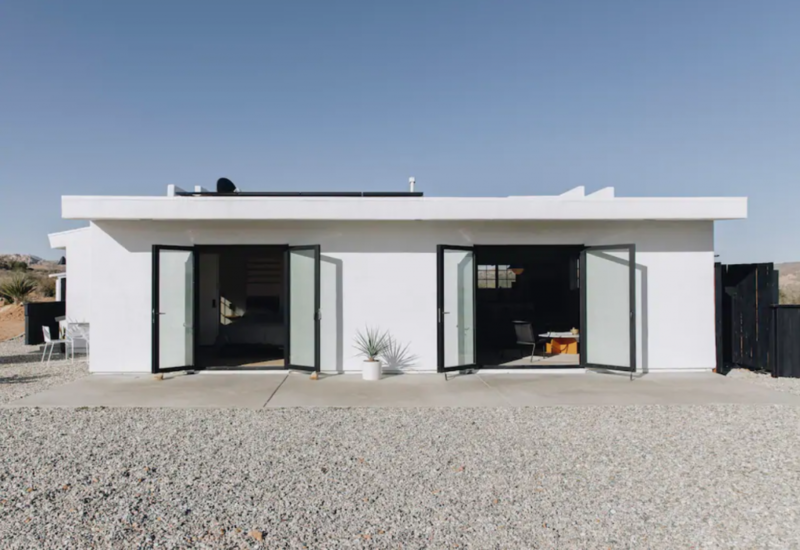 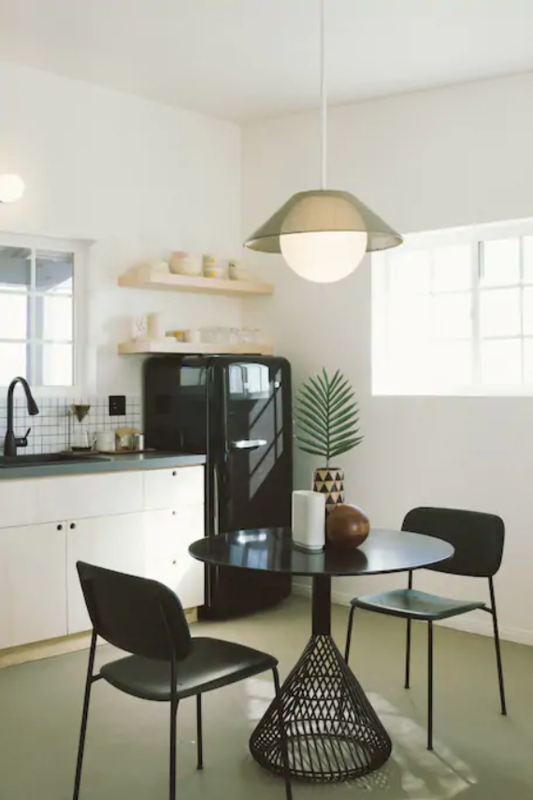 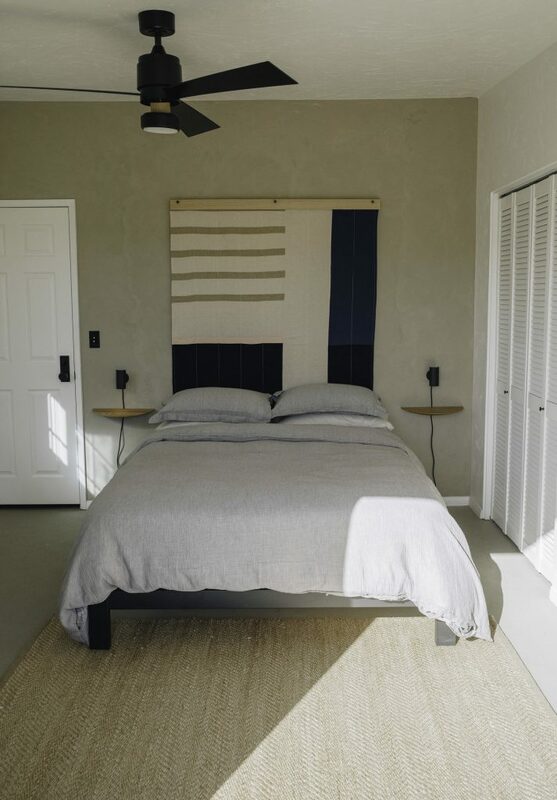 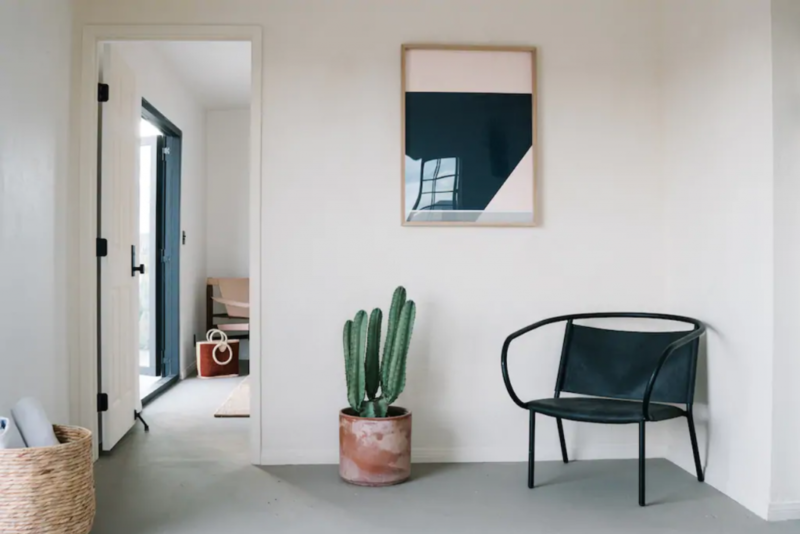 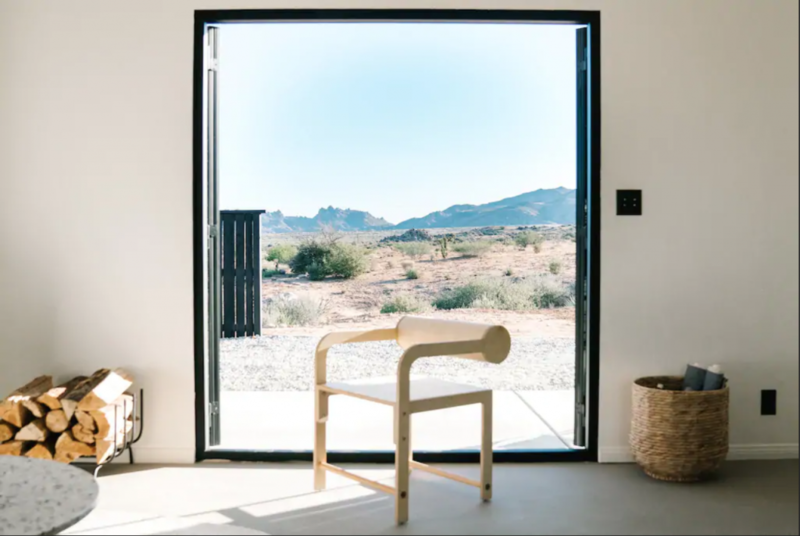 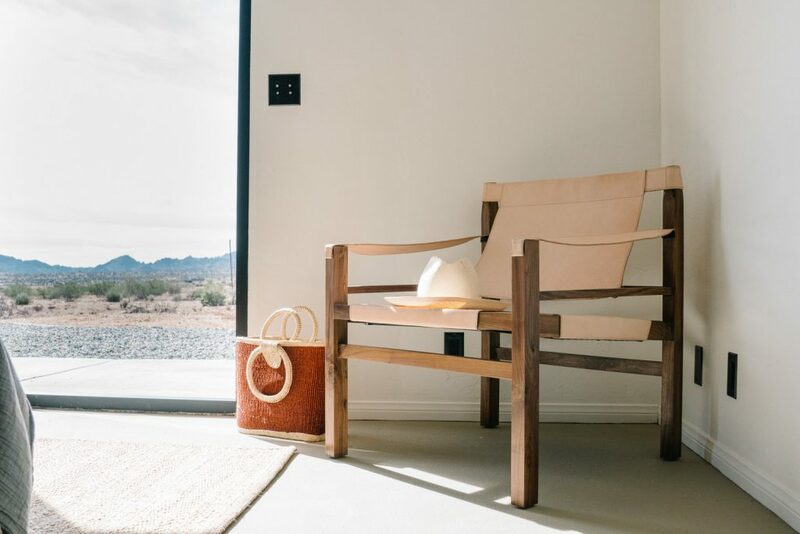 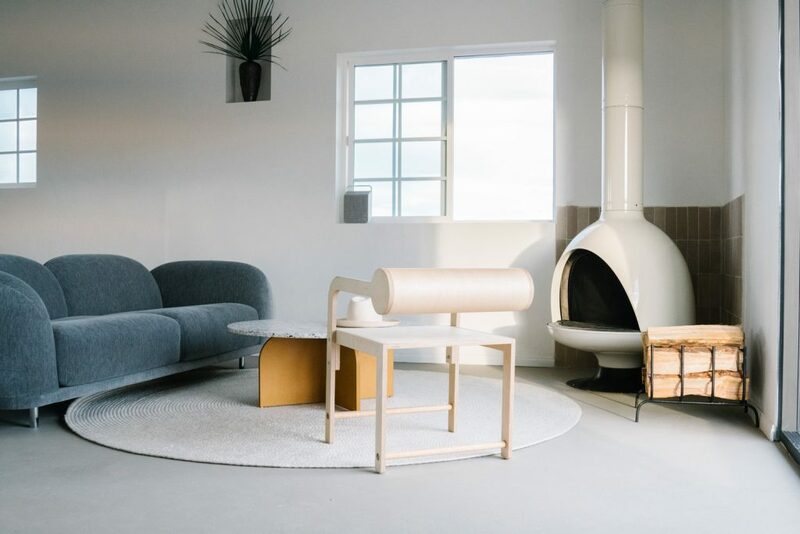 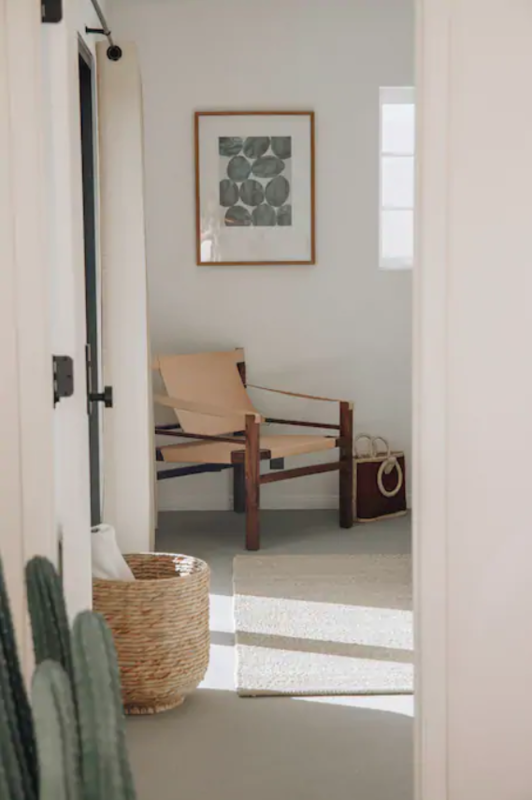 The LA based creatives Carlos Naude and Whitney Brown transformed an old pueblo-style home into a serene minimalist design retreat. 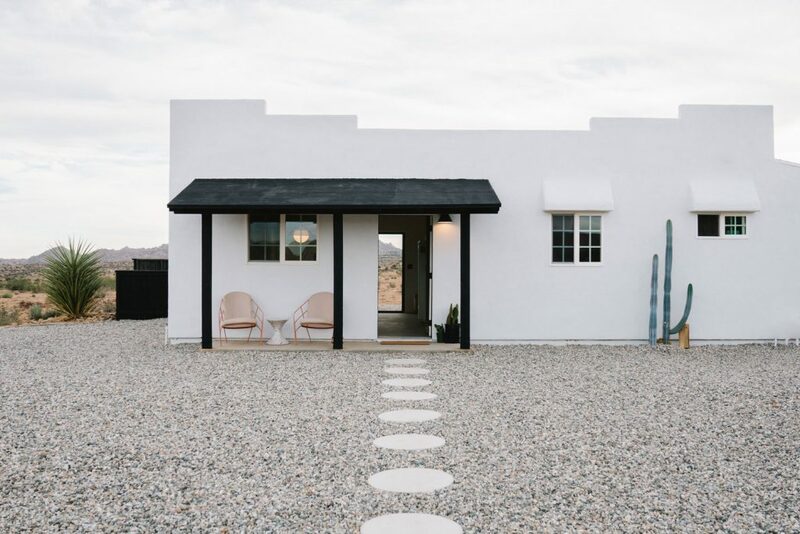 Casa Mami is an eco-friendly weekend hideaway, sitting on 5 acres of sprawling desert in Pioneertown, California, outside of Joshua Tree National Park. 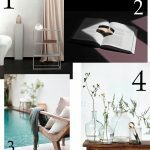 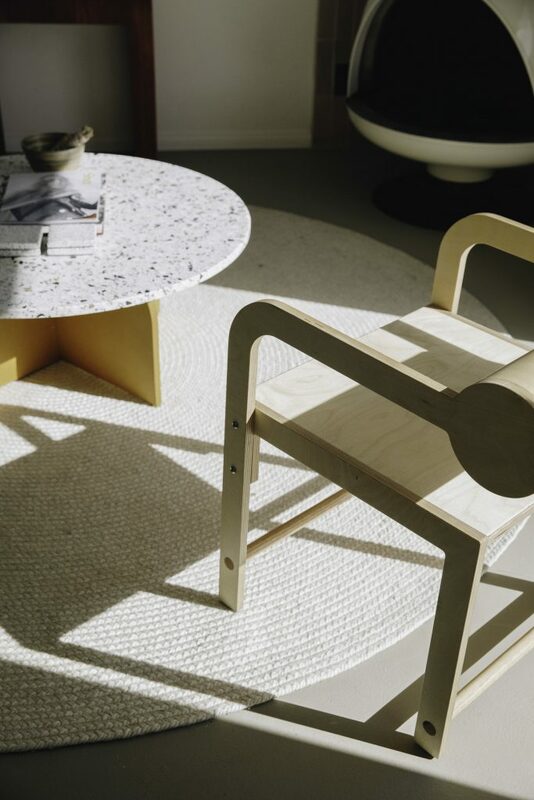 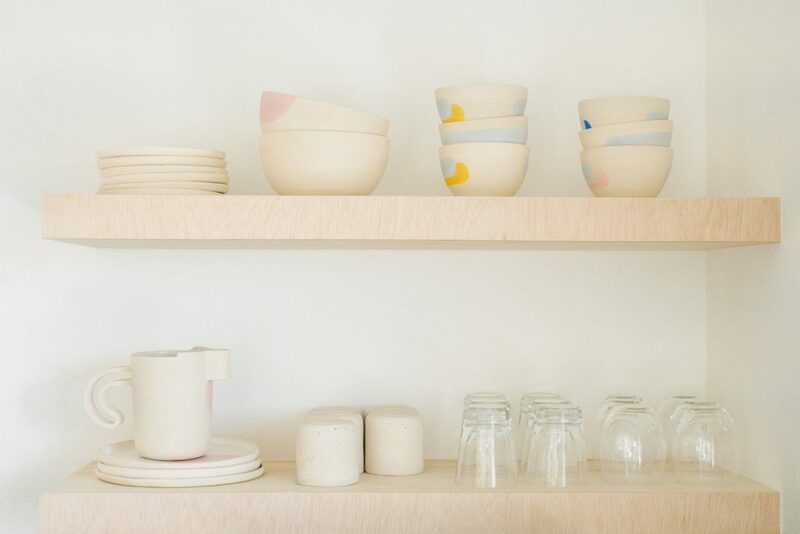 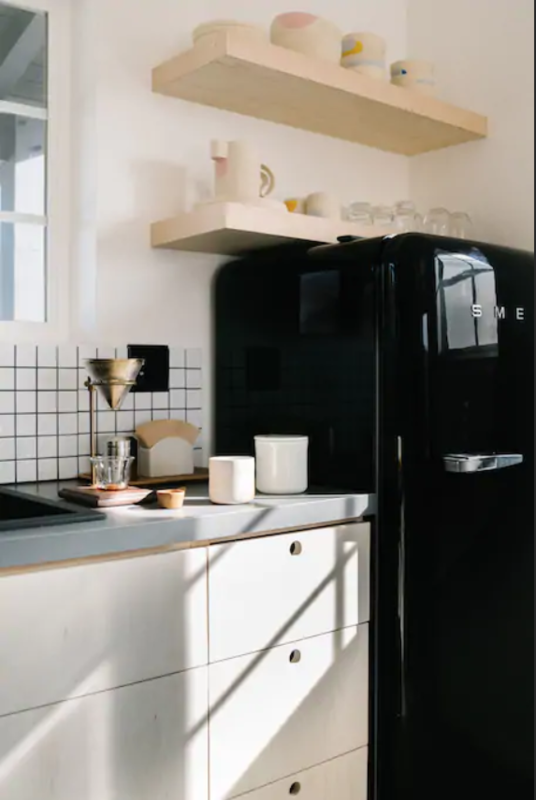 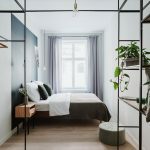 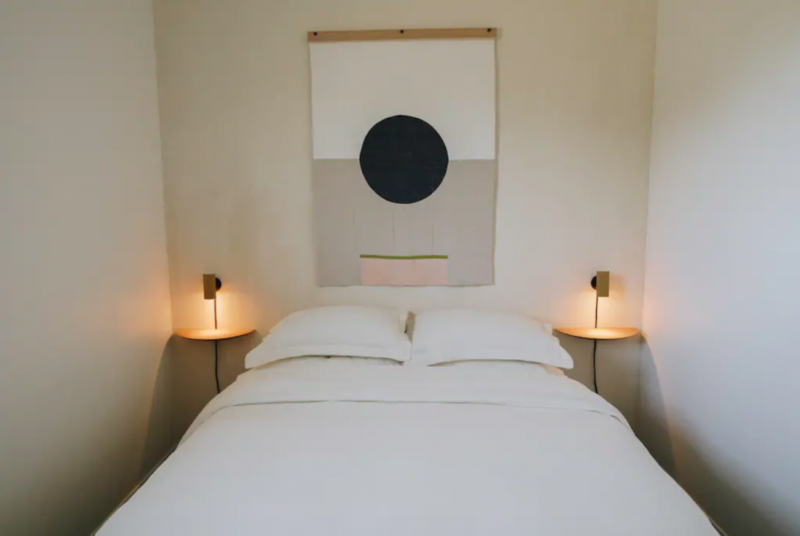 The couple wanted to carefully curate their house with a selection of some of their favorite designers, brands and products. 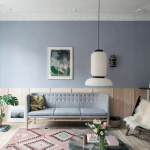 The house serves as a showroom, where everything – from the Moooi Cloud Sofa, the Fish and Pink coffee table, the Louise Gray art prints to the Fundamentals kitchenware – is available for purchase. 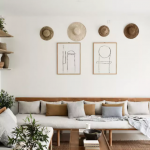 With the location being the main feature of our house, the goal was to bring the outdoors into the house. 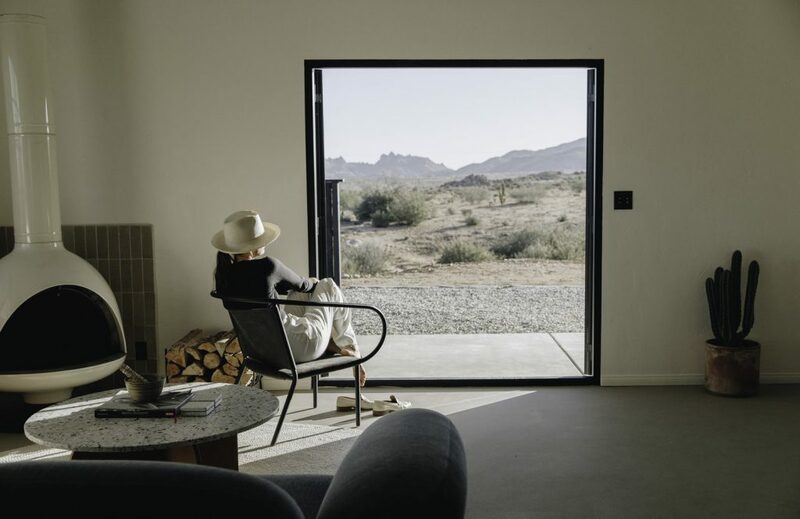 Open the La Cantina out-swing french doors and relax in the living room taking in the striking views and watch time go by. 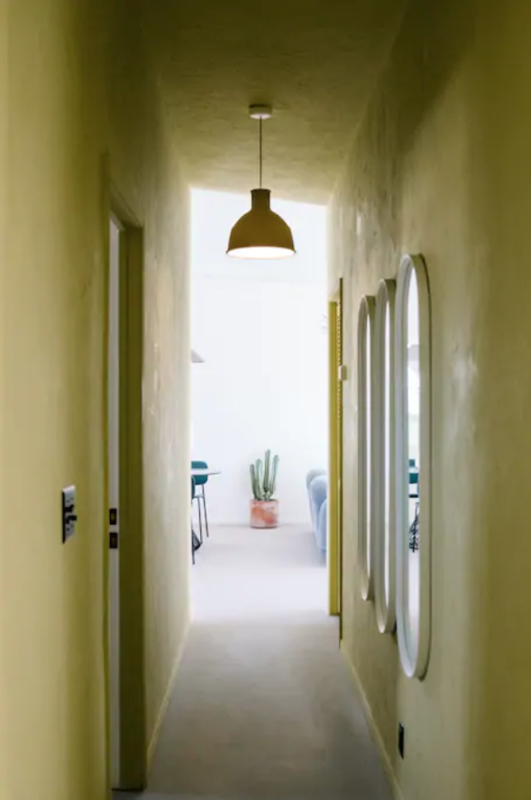 Avaliable to book through Airbnb, or through the Casa Mami website.